The Residence Inn Clearwater Downtown hails itself as “Clearwater’s premier extended stay hotel.” This is a claim that is hard to argue when you consider everything that the hotel has to offer. 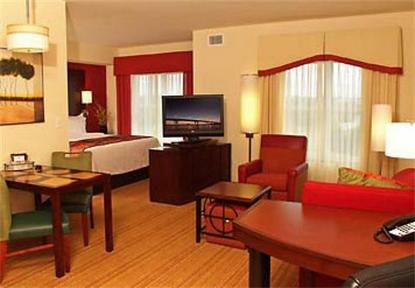 Among the main highlights at the Residence Inn Clearwater Downtown are the guest suites. Each of these 115 units is spacious, modern, stylish, comfortable and well-equipped. Only adding to the allure of the Residence Inn Clearwater Downtown are its healthy array of facilities and services, and it is certainly difficult to find fault with the convenient location. Guests enjoy proximity to any number of attractions in the Tampa-Clearwater area, including the dazzling beaches that have helped to make the area such a popular vacation destination. In addition to a full kitchen, the suites at the Residence Inn Clearwater Downtown feature separate areas for working, eating, relaxing and sleeping. Also worth noting is the rather upscale and contemporary decor that can be found in each and every suite. In relation to suite size, guests can choose to book either a studio, a one-bedroom unit or an even larger two-bedroom suite. Outside of the suites, guests of the Residence Inn Clearwater Downtown will find such things as a full-service business center, a 400-square-foot meeting room, an exercise room, a heated outdoor pool, coin-operated laundry facilities and a picnic area with barbecue grills. In reference to the available services, guests are treated to a complimentary buffet breakfast each morning, as well as complimentary beer and wine as long as they are of age. Housekeeping and valet dry-cleaning also figure among service highlights, and the list doesn’t end there. This is a rather complete lodging establishment that goes to great lengths to make sure that guests enjoy a rewarding stay.